The founder of specialist independent retailer The New Zealand Cellar, Melanie Brown, is expanding her remit to include Australian wines this month with the launch of The Australian Cellar. 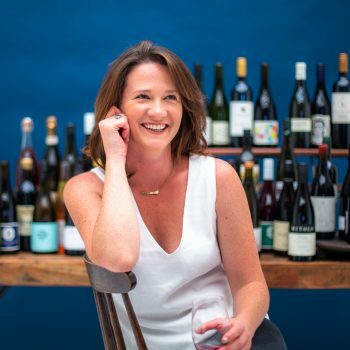 Melanie Brown, who is also wine buyer at The Providores restaurant in Marylebone, founded specialist retailer The New Zealand Cellar in 2014, initially as an online wine shop. In 2015, the concept grew to include a wine bar and shop at Pop Brixton, and today it is home to one of the most comprehensive selections of premium New Zealand wine in the world, and also offers private tastings and winemaker events throughout the year. The Australian Cellar, which will run independently from The NZ Cellar, will initially launch as an online-only platform in on 19 September, and will focus on “bringing a new energy and perception to Australian wines in the UK”. The online platform will be supported by a schedule of events, popups and tastings with the aim of bringing Australia’s philosophy on wine to life, “creating a platform that ensures stories, people and passion prevail”. Those already signed up include Australian wine writer Mike Bennie, who will be discussing the natural wine movement, and Dan Sims, the founder of wine festival Pinot Palooza. “On a recent trip to Aus I was struck by the strength of Australia’s offering – I realised for the first time that Australia is going through one of the most exciting, enticing and edgiest moments in its wine history, making it the perfect time to embark on this next step – and so The Australian Cellar was born,” Brown said of the new venture. Regular promotions will also be aimed at introducing the UK audience to captivating new wines and Australian wine regions. The first launch promotion will give consumers the chance to win a year’s supply of premium Australian wine by signing up to the newsletter via www.theaustraliancellar.co.uk. Great to have such a wonderful selection of New Zealand AND now Australian wines in the UK.